ABCSrcm (Advanced Billing & Consulting Services) provides medical billing and revenue cycle management services for a wide variety of healthcare providers ranging from physicians and nurse practitioners to social workers and direct care professionals. As a company with a long history and strong roots in Ohio, we regularly investigate and report on some of the major healthcare trends in the state. Specifically, these are some of the healthcare news stories from Cuyahoga County area: medical marijuana and opioid overdoses. Legislation to legalize medical marijuana has been growing in popularity across the nation, with Ohio being no different. The state of Ohio has also been at the center of the opioid overdoses. Here is a brief update on these trending stories and the impact on Cleveland and Cuyahoga County as well as the surrounding region. The movement to legalize medical marijuana started in California, which became the first U.S. state to officially legalize medical cannabis in 1996. Over a decade later, in 2012, Colorado and Washington were the first two states to legalize marijuana not only for medical purposes but also for recreational use. In 2016, California followed these examples and legalized recreational marijuana. Following in this trend Ohio has also legalized the use of medical marijuana. However, the state is struggling to meet the September deadline. This delay in implementation is echoed by the fact that the legalization of the drug for medical use has been a divisive issue for some communities. Ohio officials have stated that they are not able to meet the September deadline to start Ohio’s medical marijuana program. The state is still processing, selecting and certifying hundreds of groups that wish to grow or sell medical marijuana in Ohio. As of June 2018, a total of 56 dispensaries across the state have been approved for winning licenses from the Ohio Board of Pharmacy. 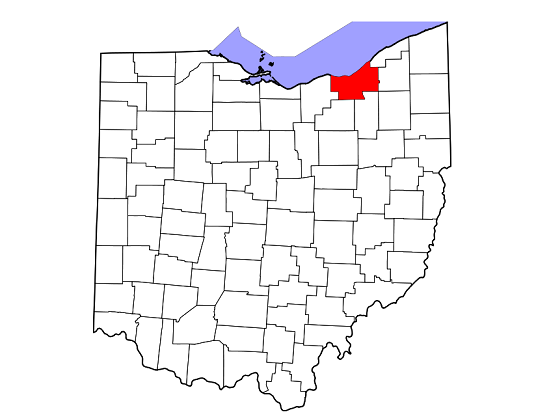 According to Ohio Medical Marijuana Control Program, the Ohio Board of Pharmacy can provide licenses to up to 60 medical marijuana dispensary applicants statewide, pending the proposed dispensary is located at least 500 feet from a school, church, public library, playground, public park or community addiction services facility. As of June 29, 2018, Cuyahoga County has been approved for five dispensaries locations, which will be located in Cleveland, Lakewood and Garfield Heights. Ohio Medical Marijuana law allows patients with one of 21 qualifying medical conditions to buy and use marijuana after registering through a doctor certified to recommend the drug. Under Ohio law, all of the following are qualifying medical conditions: AIDS, amyotrophic lateral sclerosis, Alzheimer’s disease, cancer, chronic traumatic encephalopathy, Crohn’s disease, epilepsy or another seizure disorder, fibromyalgia, glaucoma, hepatitis C, inflammatory bowel disease, multiple sclerosis, pain that is either chronic and severe or intractable, Parkinson’s disease, positive status for HIV, post-traumatic stress disorder, sickle cell anemia, spinal cord disease or injury, Tourette’s syndrome, traumatic brain injury, and ulcerative colitis. Under the new law, people will register as a medical marijuana patient through physicians certified to recommend medical marijuana. Their physician must diagnose or affirm a diagnosis for one of the previously mentioned qualifying conditions, review the patient’s drug history in the state’s controlled substances database and then discuss the pros and cons of marijuana use before signing off on a recommendation. Immediately after registering, patients will receive an electronic ID card that can be used to buy marijuana from a state-licensed dispensary. As was the trend in other states, Cleveland officials are stating that it is time to explore the topic of recreational marijuana. Cleveland City Councilman Blaine Griffin stated that “we believe it’s time for us to start having that discussion and seeing if it might be the right thing to do in the city of Cleveland.” The state of Ohio’s Legislature or a ballot initiative is required to legalize marijuana. In anticipation of a future legislation or initiatives, 12 of the city of Cleveland’s 17 council members are on the resolution to form an exploratory group on the matter. As of July 201, a total of nine states and the District of Columbia (Washington), have legalized marijuana for recreational use for adults over the age of 21. For comparison, medical marijuana is currently legal in 30 states, with Oklahoma being the most recent state. Another healthcare news topics that, has been the center of numerous news stories is the opioid epidemic in the Ohio River Valley region. Many of the stories mention cities and communities located in southern Ohio, Kentucky and West Virginia. However, northern Ohio has also been ravaged by the tragedy of addiction. For Cuyahoga County, 2017 was the deadliest year on record for overdose deaths, with 727 people dying from narcotic overdoses. This public health problem was made worse with the introduction of drugs like fentanyl and carfentanil. In 2013, 194 people who died from heroin overdoses, with fentanyl generally unheard of. However, by 2017, fentanyl would be responsible for 492 deaths. The growing popularity of the powerful tranquilizer carfentanil has made the opioid crisis worse. In 2016, 54 people died from overdoses, but in 2017 this number grew to 191 opioid-related deaths. In order to fight this crisis, one successful strategy has been to use the opioid-blocking drug Narcan (Naloxone). In 2017, there were over 7,700 doses of Narcan administered in Cuyahoga County. Even with the recent recall of the life-saving drug, first responders and medical staff and grateful for the drug. On a positive note, current projections show the number of overdose deaths actually decreasing in 2018, with the Cuyahoga County Medical Examiner expecting a total of 680 deaths. Due to this damage and loss, Cleveland and Cuyahoga County have joined numerous other communities, cities and states in filing lawsuits against major opioid manufacturers and distributors. For additional questions about this topic or other healthcare-related news updates, please reach out. At ABCS RCM, we offer experienced medical billing, credentialing, workforce management tools and web design services.